Michael Asseng claims he was sick, not drunk, when he crashed a school bus in Farmingdale. 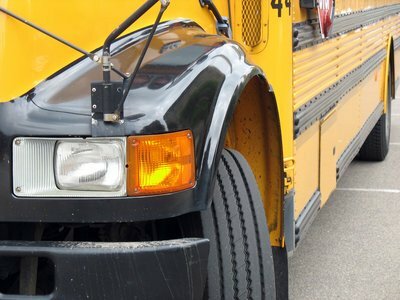 After being accused of driving a school bus with four children inside while under the influence, 48-year-old Michael Asseng claims he is going to sue Nassau County. Asseng said that he was sick, not drunk, at the time of the accident. Asseng, of Deer Park, crashed the bus into a parked car in Farmingdale in January. None of the children on board were injured. Police gave him three breathalyzers, all of which came back negative. “Paramedics said to the officer, ‘How many times are you going to continue to Breathalyze this man? He’s not drunk, he needs to go to a hospital.’ That police officer told them to get lost,” Asseng said in a report from CBS News. Police stated that Asseng appeared disoriented after the crash, with slurred speech and glassy eyes. He was arrested under suspicion of being high on drugs. Asseng claims it took Nassau County police eight hours to bring him to a hospital, where he was diagnosed with sepsis. Asseng ended up spending 46 days in the hospital, and even spent two weeks in a medically-induced coma. Sepsis is a potentially deadly disease caused by an overwhelming immune response to an infection. Asseng spent so much time in the hospital that he had to learn to walk before being released. Asseng went on to say that the pain and suffering his family went through in the wake of the crash can never be taken back. Police stated that they had probable cause to arrest Asseng. Subject: LongIsland.com - Your Name sent you Article details of "Bus Driver Accused of DWI to Sue Nassau County"